Imagine you could view a drawing of an ancestor’s business shop, their address for the shop, and the product they produced. Well, this is possible if you had an ancestor who had a shop on any London street between 1838 and 1847. It was John Tallis during those years who did illustrations and gathered the information of the businesses on the various London streets. It serves today as a complete view of individuals and their businesses from some 170 years ago. Here is the Index for finding an individual and their shop. The index is in alphabetical order by street names. You see all the shops on a specific street name, the number for that location such as #85 Bishopsgate Street where a grocer, John Peerson Teede operated. You will view the Tallis illustration of that grocery shop and continue to scan down and the site has additional information on the person, John P. Teede and the business. Many times it takes you through years beyond the 1838-1847 time frame, on the business owners and the shop. All that information can be downloaded to your computer. To the right side you will see ‘Occupants‘ – these being those individual business owners. Here will be those surnames (many with full name listings) which will include all shops they owned. Thomas Bowtell had three businesses. 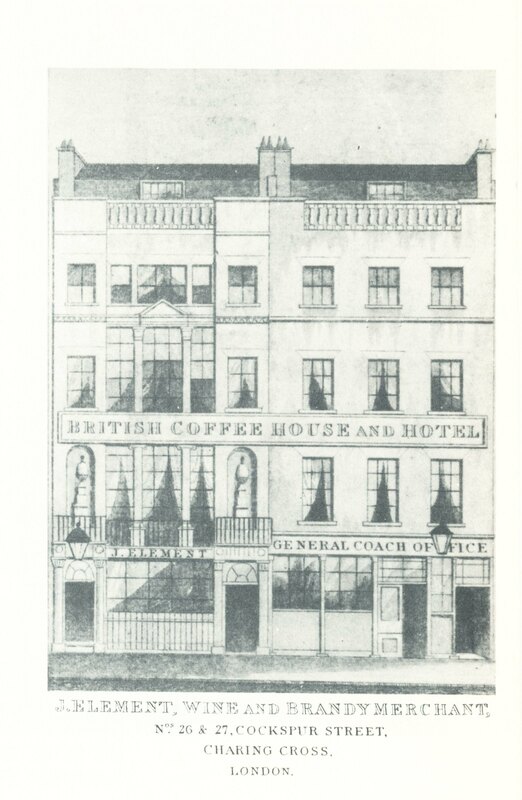 Other names listed are not surnames but rather the business name such as ‘British Coffee House and Hotel’. Such places had different owners over the years. Click on those locations for more details. Just reviewing the list of trades for 1830s to 1840s in London for the different shops is fascinating. However, to be lucky enough to locate an ancestor is super. So do check every family tree name that could have been in London during those years, even with the surname spelling was a little different. It is wonderful that additional details, illustrations, photos and advertisements for each person and business that has been added by researchers today. It is truly a wealth of information. Keep checking back as more details are located and placed on the site. 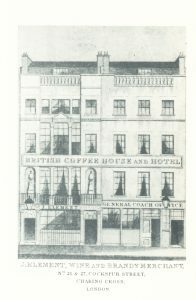 Photos: Grocer, John Peerson Teede at #85 Bishopsgate Street; British Coffee-House at #26-27 Cockspur Street owned in 1847 by John Element; and Hosier (clothing) by Ebenezer Flint at Farringdon St and #48 Ludgate Hill.